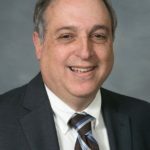 RALEIGH (June 6, 2018) – The argument for HB 514, Permit Municipal Charter School/Certain Towns, is that the bill simply allows choice for parents and students in several small suburban Charlotte municipalities – choice to create municipal charter schools with their home communities. The argument against 514 is the bill, regardless of intent, inevitably deepens the divisions in our society, accelerates the resegregation of our public schools, and exacerbates the polarization of our state, inflicting another grievous wound on the one unifying institution that has bonded our people together as one state under one flag with a common set of values – public education. The best path here, indeed the only thoughtful one, is to hit the pause button, send this bill back to Committee, and take the time to fully explore all of its ramifications in the long session. No harm will come from that choice and much harm may be avoided.